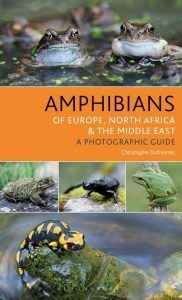 This photographic field guide is a practical, compact and yet exhaustive reference covering all European amphibian species, rom familiar frogs and toads, to exotic salamanders and caecilians. 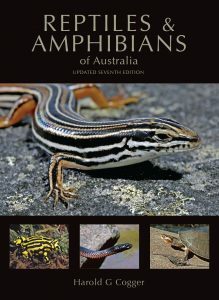 Amphibians of Britain and Europe covers all 127 species found in the region; each species account describes their appearance, habitat and behaviour, and includes accurate and up-to-date distribution maps, and photos that emphasis key identification features, assisting rapid identification in the field. 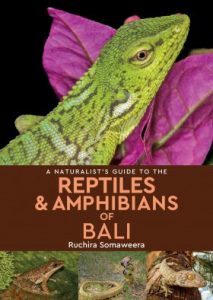 With over 7,000 known species, frogs display a stunning array of forms and behaviours. A single gram of the toxin produced by the skin of the Golden Poison Frog can kill 100,000 people. Darwin’s Frog males carry their tadpoles in their vocal sacs for sixty days before coughing them out into the world. The Wood Frogs of North America freeze every winter, reanimating in the spring from the glucose and urea that prevent cell collapse during the cold months. 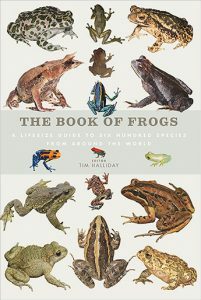 The Book of Frogs celebrates the diversity and magnificence of all of these creatures, and many more. 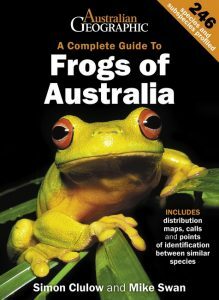 Six hundred of nature’s most fascinating frog species are displayed, with each entry including a distribution map, sketches of the frogs, species identification, natural history and conservation status. Life-size colour photos showcase the frogs at their actual size – including the colossal seven-pound Goliath Frog. 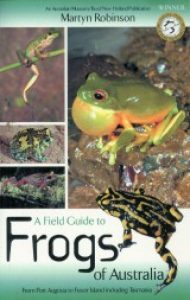 Accessibly written by expert Tim Halliday and containing the most up-to-date information, The Book of Frogs will captivate both veteran researchers and amateur herpetologists. 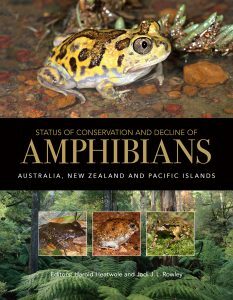 As frogs increasingly make headlines for their dramatic worldwide decline, the importance of these fascinating creatures to their ecosystems remains underappreciated. 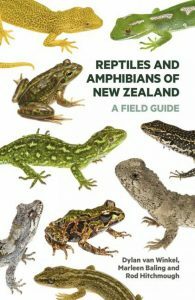 The Book of Frogs brings readers face to face with six hundred astonishingly unique and irreplaceable species that display a diverse array of adaptations to habitats that are under threat of destruction throughout the world. 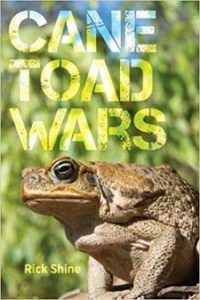 Cane Toad Wars chronicles the research of intrepid scientist Rick Shine and his work to document the toad’s ecological impact in Australia and to buffer that impact. 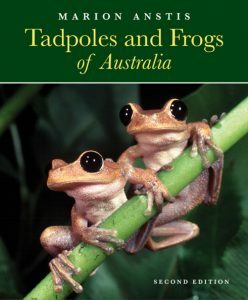 Despite predictions of devastation in the wake of advancing toad hordes, the author’s research reveals a more complex and nuanced story. 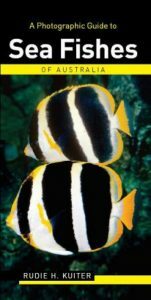 A first-hand account of an intriguing ecological problem and an important exploration of how we measure evolutionary change and ecological resilience, this book makes an effective case for the value of long-term natural history research in informing conservation practice. In 1935, an Australian government agency imported 101 specimens of the Central and South American Cane Toad in an attempt to manage insects devastating sugar cane harvests. 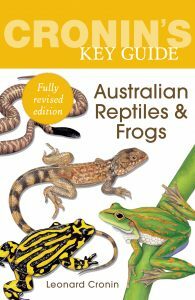 The Cane Toad had been introduced in other places, but in Australia it adapted and evolved with abandon, voraciously consuming native wildlife and killing predators with its lethal skin toxin. Today, hundreds of millions of Cane Toads have spread across the northern part of Australia and continue to move westward. The humble Cane Toad has become a national villain.